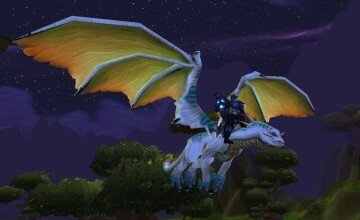 After having their wings clipped in the latest World of Warcraft expansion, Warlords of Draenor, it’s been a heated topic on whether flying would return for Draenor in a future patch or if it wouldn’t come back until the next expansion – until lead designer Ion Hazzikostas’ interview with Polygon. With the upcoming 6.2 patch that introduces the Tanaan Jungle, players were given the news that not only would flying not be making an appearance, but it wasn’t coming to Draenor or possibly any future expansion in the game. 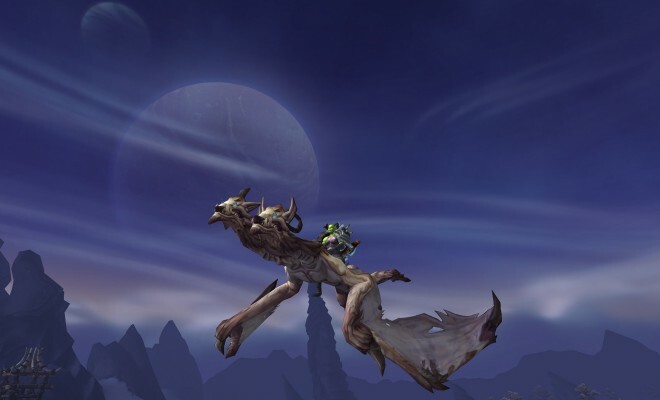 That’s right, there could be no more flying in World of Warcraft. PVP from any location, leading to players staying in solo garrison areas away from others. Very little world content, finding high level players only in major cities or in front of dungeons. A lack of environmental variety and hazards – players were promised terrain that would challenge their skill, only to have these challenges trivialized by convenient “gliding” options. Many instanced quests – while narratively pleasing, these locked you into phased story areas where you communicated with NPCs and not other players. 1 World Boss per week – This led to a surplus of individuals traveling on Tuesday to fight the boss for the week, then never seeing another player until they do it again next week. The logic falls apart pretty quickly. I am not actually opposed to the removal of flying, but I hope that it returns in future content with areas designed around flight. Another option is that the Draenor areas allow flight with a later patch, possibly for a new expansion. Many feel the best system in place for this was how flight was handled in Wrath of the Lich King, where players were on-foot for the majority of their leveling, but given flight for the final three levels in areas designed around this addition. For subsequent leveling, a later option was created for earlier flight options, making questing easier for those who had already completed the content once. 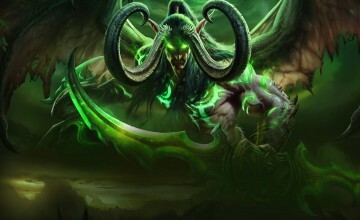 The constant creation of more real-money purchases in World of Warcraft feels like a reaction to the loss of subscribers in the game.It gives the impression that Blizzard cares less about creating new content for their players and keeping the fanbase happy than making extra money to sooth the loss from the subscribers that were alienated by the current game. 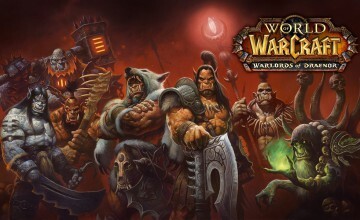 World of Warcraft remains as the biggest MMORPG on the market and one of the few still powerful enough to keep players with a subscription model. With falling numbers in subscriptions, however, one can’t help but wonder if Blizzard remains capable of the magic of drawing and keeping players in their amazing worlds, or if they’re just going to keep making players slog through a lack of content. Then again, we players do complain about anything, so who knows. What do you think? Comment below on whether the world is bigger from the earth or if you miss the skies above Azeroth.